Slow economic growth still hinders the United States. Unemployment remains above 7 percent with about 5 million fewer full time workers than in December of 2007 and wages continue to stagnate. There is a solution to poor economic growth. 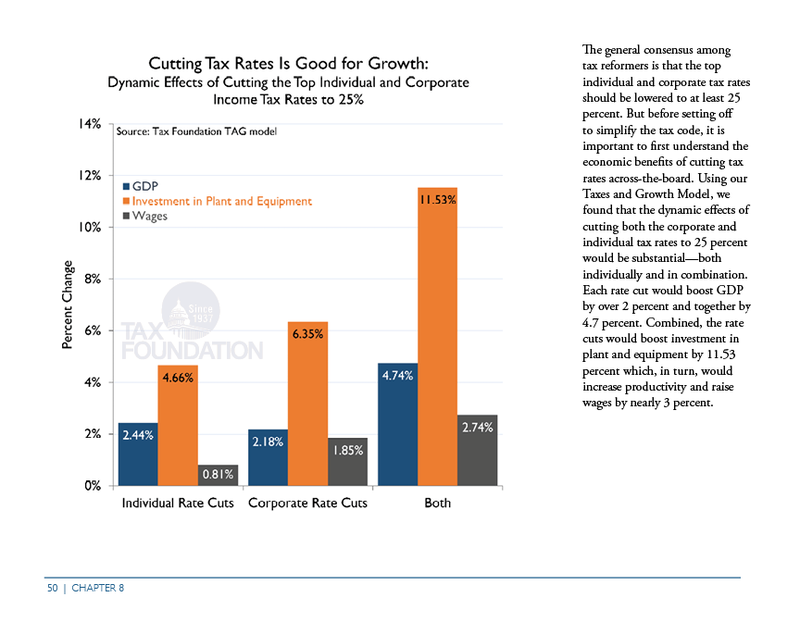 Though there is no a silver bullet to our economic problems, real tax reform could free the economy to grow. If the U.S. were to cut its top individual rate and corporate rate down to 25 percent, while changing nothing else, GDP would increase by 4.74 percent and wages would increase by 2.74 percent. But there is no need to just stop there. In a recent paper, our chief economist William McBride has 12 steps to improve the U.S. economy through tax reform. 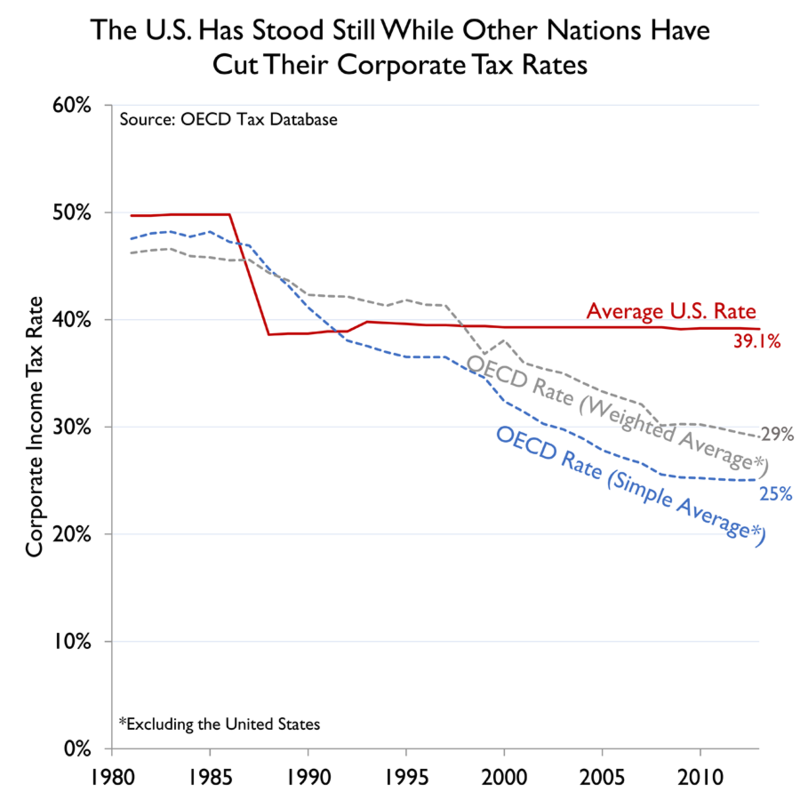 The combined U.S. statutory corporate tax rate is the highest in the developed world at 39.1 percent (35 percent federal rate plus an average of state and local rates). U.S. businesses are generally not allowed to immediately deduct the cost of investments in buildings, machines, and other equipment. This is bad for investment. 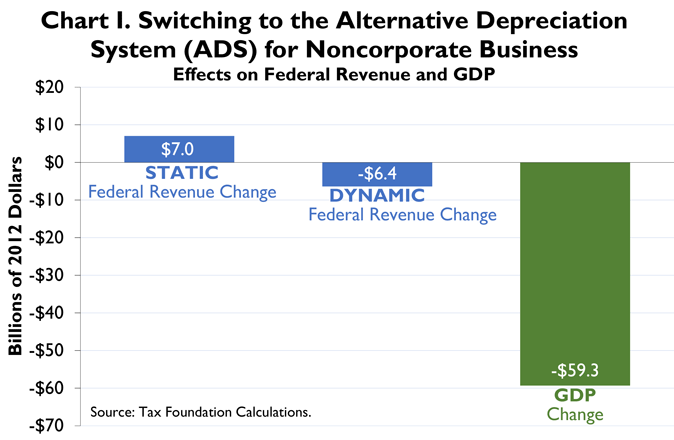 Instead, the tax code should be neutral, so that businesses are free to grow and invest. The U.S. is one of only six developed countries that continue to tax on a worldwide basis as opposed to territorial. 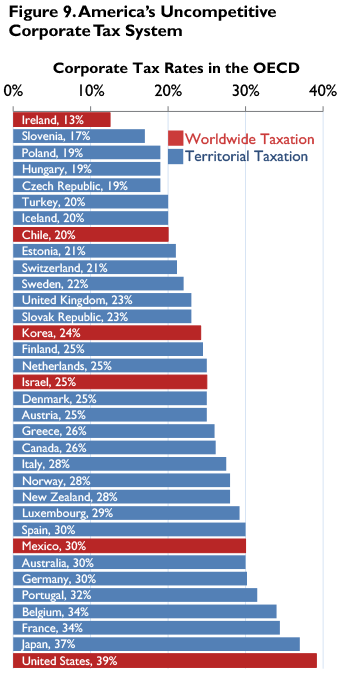 This puts U.S. businesses operating abroad at a distinct disadvantage. To make America more competitive, remove double taxation, and increase the incentives to save and invest, it is imperative that shareholder taxes, as well as taxes on interest, come down from current levels. Increasing these rates would have a damaging effect on the economy. 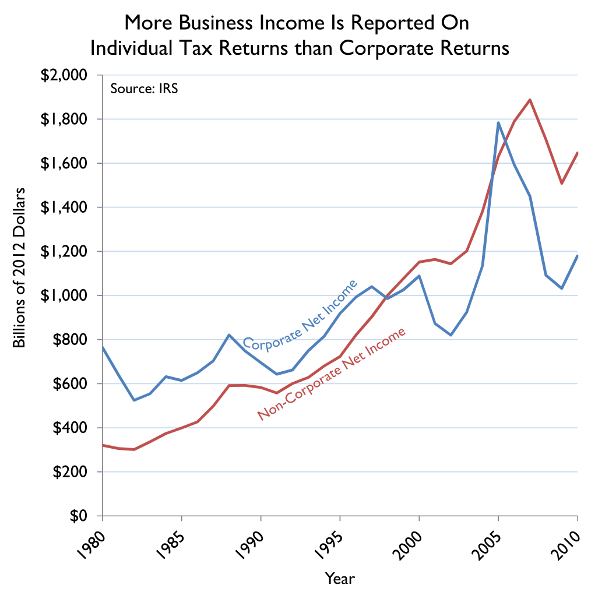 In the U.S., more than half of all business income is taxed under the individual income tax code, not the corporate code. These businesses face top marginal tax rates of above 50 percent in high-tax states. Estate taxes are an additional layer of tax on saving and investment after taxes on wage income, corporate income, and shareholder income. 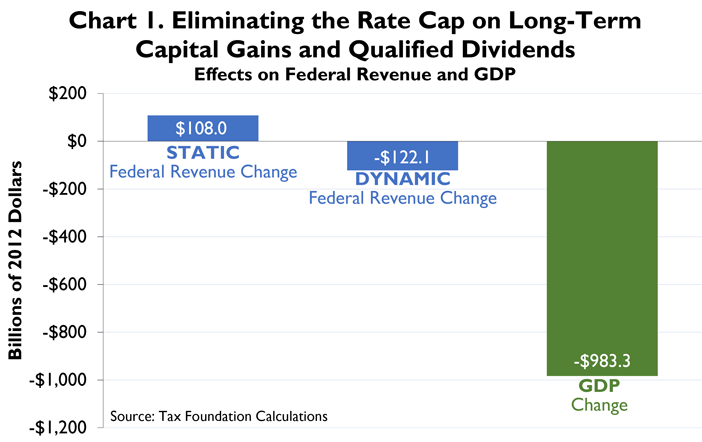 Full repeal of estate taxes at the federal and state level would boost saving and investment and add some clarity, certainty, and fairness to the tax code. One of the best ways to simplify the code is to repeal the AMT and instead reduce the unjustified tax preferences in the regular code that allow so much variation in tax rates across filers. The Personal Exemption Phase-out (PEP) and the Pease limitation of itemized deductions introduce the extra economic harm of extremely complex rules that reduce transparency in the law and cause marginal tax rates to go up over a certain range of income and then come down again. 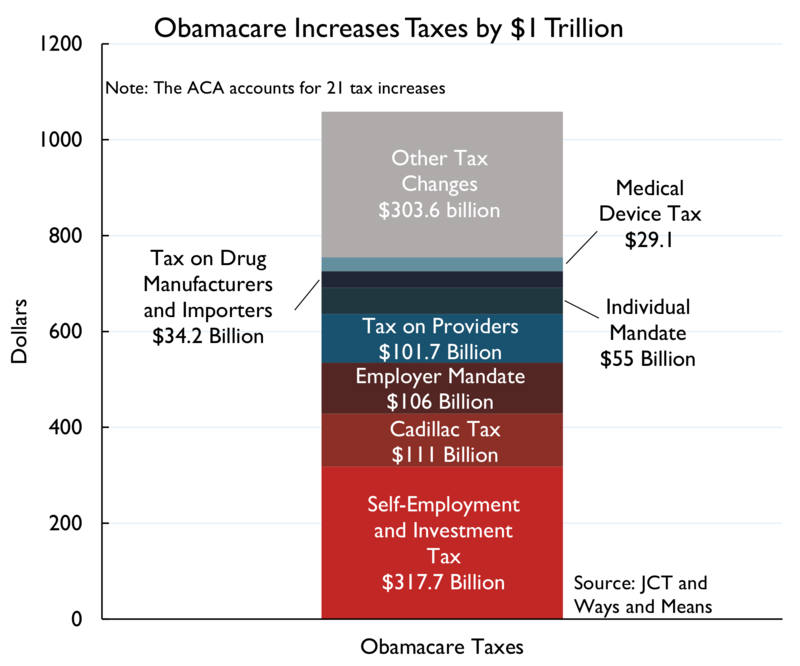 There are more than twenty separate taxes in the Affordable Care Act, all of which are poorly structured and difficult to comply with, and they increase the federal tax burden by more than $1 trillion over ten years. The ACA was supposed to be a healthcare system, but it became a vehicle for taxing particular industries, favoring others, while hurting incentives to save and invest. 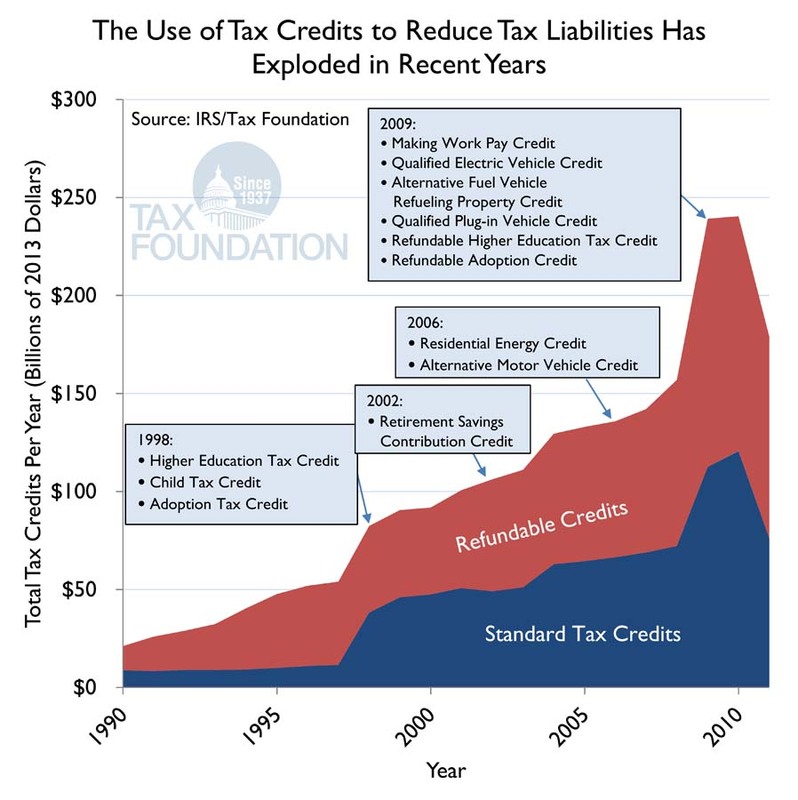 The tax code is littered with numerous corporate welfare programs meant to spur certain industries or activities, such as the various credits and deductions related to renewable energy and energy-efficient products like hybrid vehicles, appliances, and windows. Refundable tax credits, tax credits that exceed the recipient’s income tax liability, are the fastest growing tax breaks in the federal tax code. 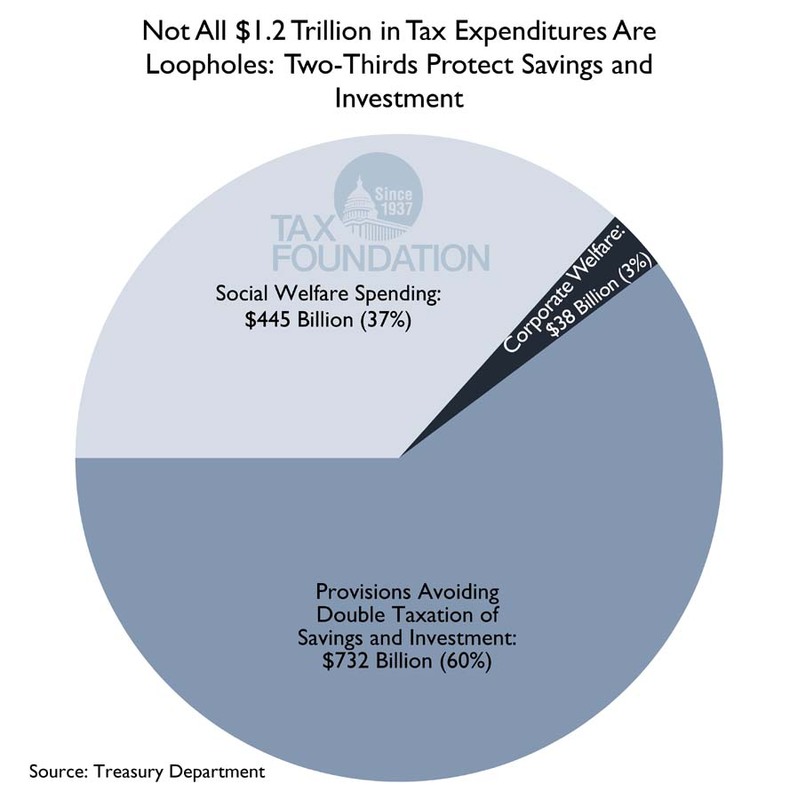 Protecting provisions that help correctly define the tax base (such as accelerated depreciation, retirement accounts, different rates on capital gains and dividends) would go a long way toward raising the chronically low savings rate in the U.S., giving workers more income security through the ups and downs of a typical career and giving investors more access to scarce capital.